PUSHER 26 is a real workhorse for whatever the task. She has a new style hull that makes her faster to run and steer easier without a barge or float on the return trip or outbound to pick up a barge or float. Construction is steel with a shape that is easy to assemble and weld. Purchase Study Plans for the PUSHER 26 $5.00 for delivery by US Postal Service [no download file available]. 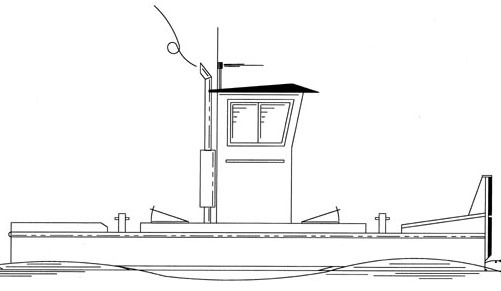 Purchase Construction Plans for the PUSHER 26 for $500.00 for delivery by US Postal Service.